It’s been quite a while since I dropped a Wacky LP of the Day on you all, but as soon as I remember I owned the following, I felt like I had to share. Dig this little beauty….. Without having put the record on I thought maybe Joyce was in the band, and maybe John-boy was a child picture of Janot. Wrong and wrong. They’re his family, which is nice. 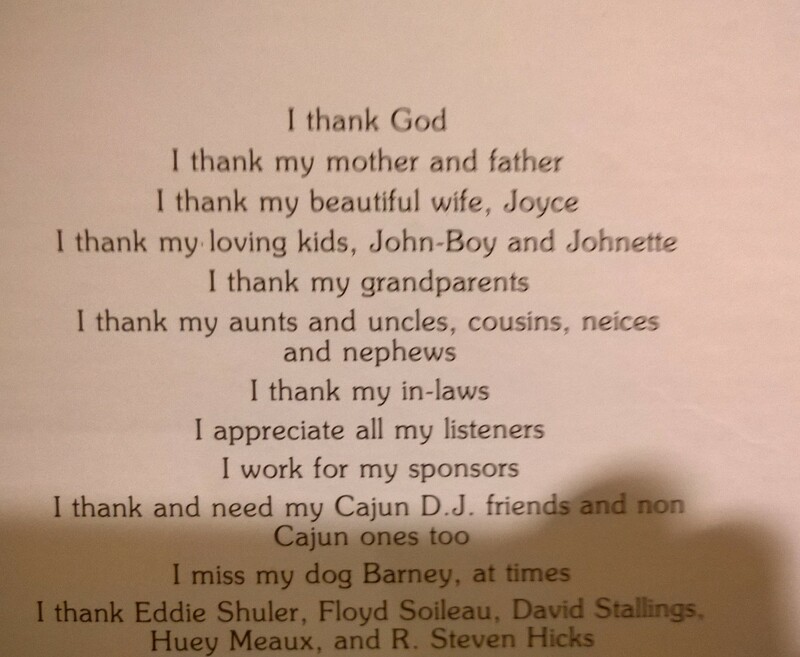 I’m just not sure I’ve seen anybody put their family on the back of their record before. 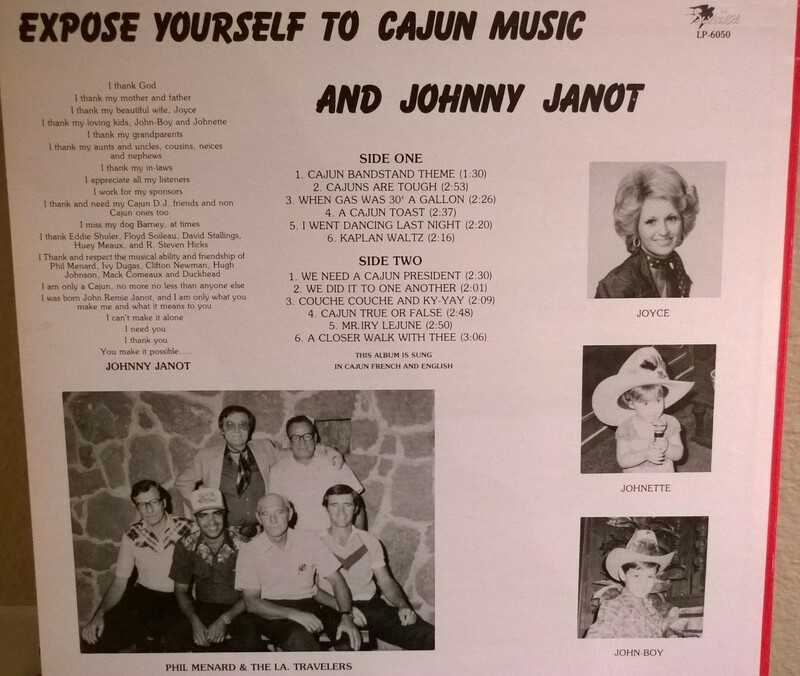 I also dug the John-boy and Johnette combo. Reminds one of George Foreman naming all his kids some variation of George. Now, the music: it’s awful. It’s more country with some Cajun seasoning thrown in. Pretty much the celebrating the hard working, blue collar, God fearing, family man variety of country made popular by Merle and Waylon and those cats. But wow, it’s terrible. 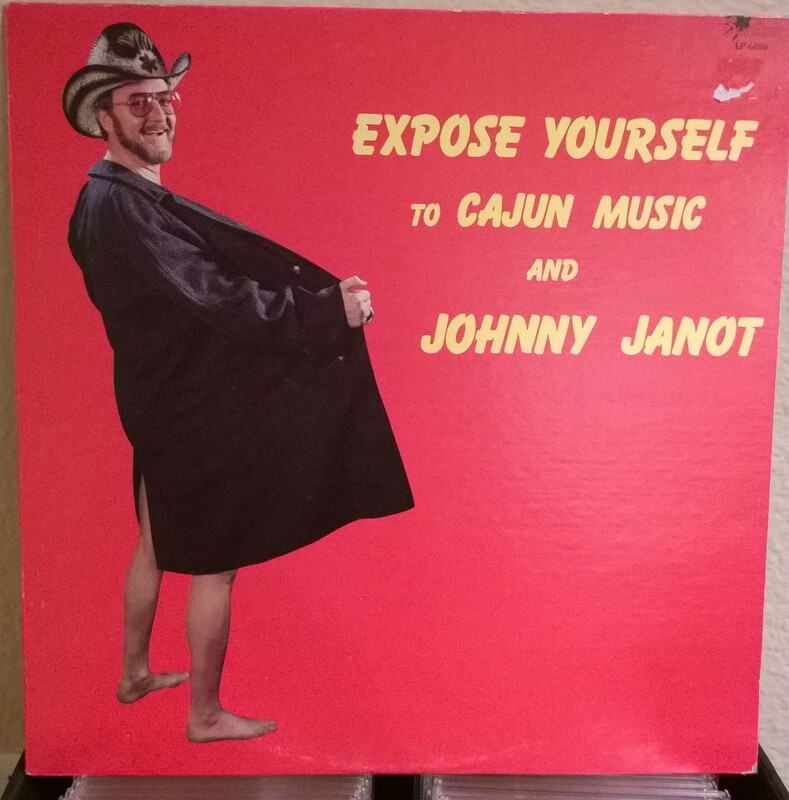 I enjoy this record for it’s fabulous cover art and title, the family photos, the shout out to the dog, and the unabashed expression of everything that is important to this man. It’s just too bad it’s not good to listen to.